Women are 20 percent more likely to suffer a miscarriage if they lived with two smokers in childhood. The potential health risks of inhaling second-hand smoke has been increasingly stark but new research has found women who are exposed to other people’s smoke from an early age have more chance of miscarriage in later life. The study conducted in China and led by Shanshan Yang from the Institute of Geriatrics at the Chinese PLA General Hospital in Beijing, found a potential 20 percent increase in the risk of miscarriage in women who were exposed to second-hand smoke at an early age. Analyzing data from more than 20,000 women over the age of 50, the researchers found those women who had grown up with two or more smokers in the household had the 20 percent increased risk. Those exposed to any smoke up to five times a week had a 14 percent chance of experiencing a miscarriage during pregnancy. Those women who were not exposed to second-hand smoke or only exposed to it less than five times a week had no increased risk of suffering a miscarriage in later life. “Our findings support the enactment of stringent national smoke-free laws and strict enforcement in China, and promotion of smoke-free homes to protect children, as well as the need for campaigns to change social norms of smoking and passive smoking,” stated the authors in the study. While there is an obvious increased risk to health through inhaling second-hand smoke and the effects it could have on young children, the study did have limitations which included the reliability of the participants recalling childhood memories. Further limitations included not knowing fully whether the women who experienced miscarriages did so in later life or if they were exposed to smoke during the pregnancy. 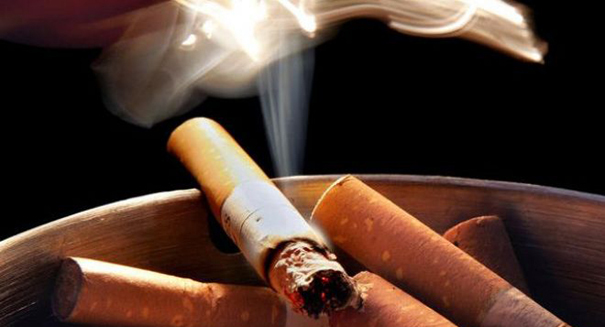 Details of the study were published in the journal Tobacco Control.